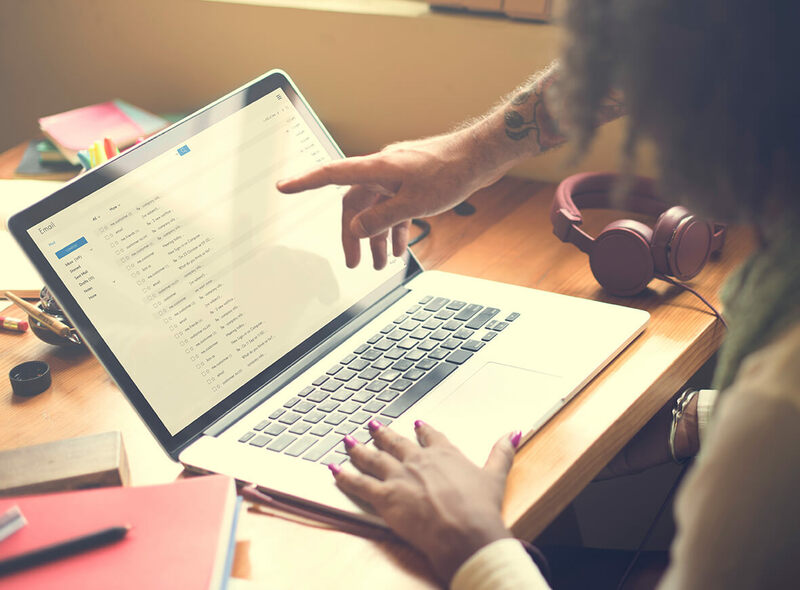 Email marketing remains to be the most effective way to connect with your customers and nurture that relationship. Even amid the rise of social media, the fastest method of communication in today’s world, emailing newsletters and offers to customers is a highly effective digital marketing strategy that has a high percentage of success. Imagine this: You’re browsing an ecommerce website (which you are a member of, leaving your email details with the website), tinkering with the idea of buying a new shirt, but you exited even before you made the purchase. The next thing you know, you’ve got an email from the ecommerce website offering you a coupon that you can use on the very same shirt you’re eyeing. Coincidence? The algorithm that allows you to enter a word on the Google search bar and immediately see the topic you need on the “suggested topics” box is the same language that provides information to ecommerce websites about members who could potentially buy an item. Email marketing allows you to generate sales and create leads 24/7, even without someone answering questions on the telephone or selling through chat and social media. By simply sending a targeted message on your prospective buyers, you could convert prospects into customers, even loyal, raving fans of your brand. Not often would you find marketing strategies targeted to a specific audience or even an individual. This is the power of email marketing. Gone are the days of placing advertisements on television, radio, and newspaper without any control of who will see these ads and what effect they could have on them. With emails, you have the ability to control exactly who sees the content and segment your contact based on their demographics, their lead statuses, their location, and other data. By crafting these emails according to your target, the audience will receive a message that is specific to their needs. When you share a post or a link on Facebook, your friends would know whether you like or dislike the post or the link depending on what kind of emoticon you plan to use. But, you have no control as to who will see these posts because Facebook is a vast world. Even if you target a specific group of friends, there is no guarantee that they will see your post on the thousands of information they see on their feeds. By simply clicking the forward button on an email, you are sharing the deals, offers, and news with your friends. You are acting as a brand ambassador, and your friends are more likely to open an email from you than one from a random ecommerce website. One of the hardest thing about marketing is collection the numbers. That means the percentage of success of the marketing strategy. There is no exact science to computing the results of a marketing method. Email marketing has that power. There are several ways to draw precise and valuable metrics, including subscriber retention rates, delivery rates, open rates, and click-to-deliver rates. These metrics can give you an insight about customer behaviors and interests. You can use email marketing to monitor the information which your customers are most respondent to. From there, you can begin creating more successful methods to reaching and persuading clients. The most appealing advantage of email marketing is the fact that it costs virtually nothing. The return of investment is high and promising, but there are no postage fees, no advertising rates, no print costs, and no airtime charges. It is the most affordable, the cheapest marketing vehicle.